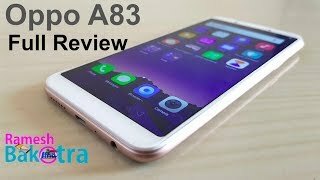 Oppo A83 Price in Bangladesh is 19500 Taka. Oppo A83 powered by 3 GB of RAM and Octa-core 2.5 GHz processor. It comes with 32 GB internal storage which upgradeable up to 256 GB by a standard MicroSD card. This dual-SIM phone supports two nano sim.